The French group Eiffage, through its Belgian subsidiary Smulders, has won a contract with GeoSea (subsidiary of DEME) to construct the Moray East offshore wind farm in the north-eastern coast of Scotland. The value of the Eiffage contract is worth more than 250M €. This wind farm project, with a capacity of 950 MW over 295 km2, involves the manufacturing and installation of 100 jacket foundations of 85 meters high and weighing 1,000 t each. 55 foundations will be built in the Smulders and Eiffage Métal reaffirms in the United Kingdom, France, Belgium and Poland. 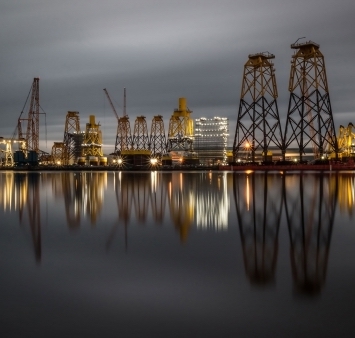 Offshore transportation and installation contractor Jumbo has been awarded a contract by Technip for the transportation and installation of a 410t subsea production manifold off the coast of Israel for the Leviathan development. 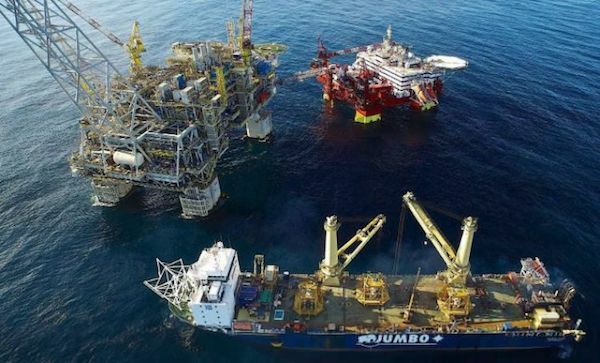 The project includes a subsea production system connecting high-rate subsea wells to a fixed platform located 10km offshore Israel. Jumbo’s Offshore division will perform the task of lowering the manifold onto the seabed at a 1643m water depth and will also install various SSIV’s and valve skids at a depth of 86m. Jumbo will also take care of the equipment transportation from US Gulf Coast to Eastern Mediterranean sea. The Leviathan Field is located in the I/14 Leviathan North and I/14 Leviathan South leases, approximately 125km west of Haifa, Israel, and 35km west of the Tamar field in the eastern Mediterranean Levantine Basin.